Walk into any store… seriously, any store and you will easily be able to pick up a decent travel mug. Almost every store I walk into these days has a big selection. It used to be only places like Walmart or Target, or your local grocery store but now if you look around in other places you’ll have a lot to choose from and they usually don’t cost a lot. The thing is though that cheap products produced in mass for the likes of Grocery Outlet or Ross just aren’t likely going to be the best products. As you very well know, you get what you pay for. Here at Gathering Grounds we are a business and obviously we make money when our customers buy from us but at the same time we don’t want you to pay more than you have to. Below we’ve taken great care to identify some of the best travel mugs for your money without pushing you towards the overpriced hype surrounding some products. In addition to our favorite travel mugs and coffee tumblers which we’ve listed below we have also dedicated sections on this site for certain types of mugs that you may be looking for. These are basically curated lists that many of our customers are looking for. 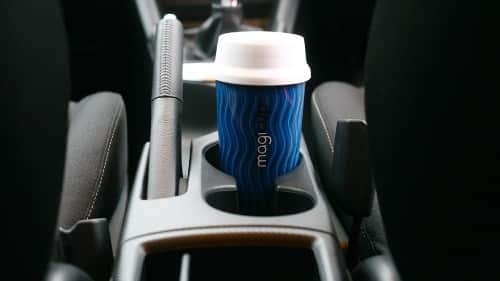 If you want to narrow your search for a certain type of travel mug then make sure to dig deeper into the linked pages below. We think having one or two good mugs is better than having a bunch of cheaply made travel mugs so don’t be afraid to take your time buying one of these.. don’t treat this purchase like an impulse item as you check out of your local grocery store!